Working families with low- and moderate-incomes often struggle to keep afloat and many childless adults are often taxed into poverty. 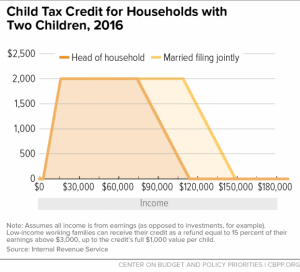 On April 10, 2019, Senators Sherrod Brown, Michael Bennet, Richard Durbin, and Ron Wyden introduced the “Working Families Tax Relief Act” that aims to expand both the Earned Income Tax Credit (EITC) as well as the Child Tax Credit (CTC) as a path to lift people out of poverty. This bill is estimated to reduce the child poverty rate in the United States by an estimated 28%. Sponsored by 46 out of the 47 Democrats in the US Senate (including Senator Manchin), these fully refundable tax credits are expected to give at least 661,000 West Virginians—especially those in low- to moderate-income households—a substantial benefit to improve the economic well-being of themselves and their families. SOURCE: Center on Budget and Policy Priorities estimates based on 2015-2017 American Community Survey data and March 2018 Current Population Survey data. Studies on the current EITC and CTC show that these tax credits can increase employment, reduce poverty, and improve educational outcomes for children. Right now, many families in West Virginia struggle to make ends meet. With around 23% of workers in West Virginia currently in low-wage jobs, these tax credits provide a much-needed boost to their income—allowing them to pay for things such as basic necessities, transportation, and childcare. The EITC directly added $355 million to the income of 159,000 West Virginians and the CTC added over another $56 million to 55,500 West Virginian tax filers in 2015. These are proven methods of enhancing the income of the working poor through a bottom-up tax cut. The EITC and CTC are two related, yet distinct, tax credits. 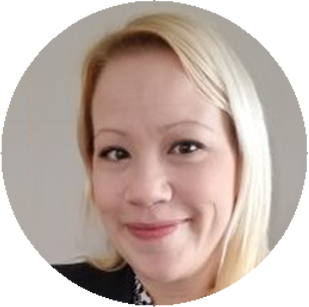 Currently, the EITC rewards low- and moderate-income people for work in the form of a refundable tax credit (meaning that it can reduce tax liability and any amount left over after being applied to any tax liability is refunded to the tax filer). This especially goes to help families with children. The EITC amount varies based on income and number of children and phases in and out as income increases. (An interactive calculator for the current EITC can be found here.) 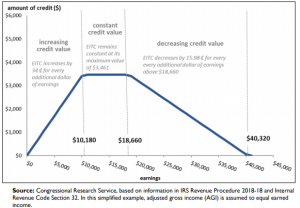 The phase-in stage for the current EITC does make it so that the very poorest of families receive much less of a tax credit than their peers making slightly more money. 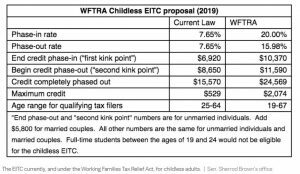 The CTC, in its current form, is limited to a maximum tax credit of up to $2,000 for each child under the age of 17 in a household if a filer has earned at least $2,500 in a year. 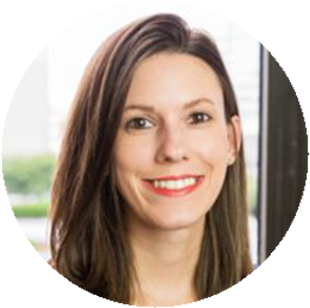 This tax credit is phased out as income reaches a threshold of $200,000 for single filers and $400,000 for joint filers. $1,400 of that is refundable, meaning that a filer’s tax liability can be reduced up to $2,000 and if this brings their tax liability below zero dollars, up to $1,400 will be refunded to the tax filer. This is known as the Additional Child Tax Credit (ACTC). However, the refund is limited to 15% of income above $2,500, which means that the poorest families currently get little help in the way of a refund while families with higher incomes receive more. The Working Families Tax Relief Act does away with the restrictions present in the current CTC and makes the entire $2,000 fully refundable to all families. The proposed legislation includes a second refund of $1,000 per child under the age of six for a total refund of $3,000 for the country’s youngest children. Estimates suggest that this would help 43 million children. It should be especially impactful for children living in households below the poverty line—lifting approximately 10 million children closer or above the federal poverty line and aiding 1.3 million children living in deep poverty (defined as below half of the federal poverty line), decreasing the deep poverty child rate from 5% to 3% across the country. Regardless, the Working Families Tax Relief Act is a step in the right direction. Providing more support to low- and moderate-income individuals and families through the refundable EITC and CTC can help provide ongoing economic security to low- and moderate-income households. These maximum income amounts were increased for 2018 from $75,000 for a single filer/$110,000 for a married filer as part of the 2017 tax law which saw large tax cuts to the wealthy and corporations while largely ignoring the hardships of working class Americans. These new thresholds are set to expire in 2025.